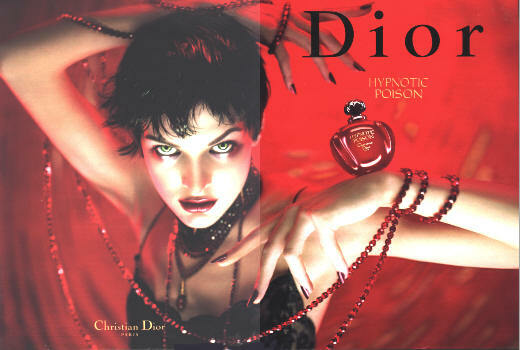 Was ever a perfume created that was better suited to femme fatales than Hypnotic Poison? There’s the name, of course, and then there’s the apple-shaped bottle in a shade somewhere between dried blood and Chanel Vamp, evoking temptresses from Eve to Snow White’s evil stepmother. Who I always thought was pretty fabulous, personally. Is that Vamp I spy on those nails? Finally, we come to the fragrance itself. With vanilla and coconut as its most prominent notes, one could not be blamed for expecting HP to be just another girlish, flirtatious vanilla. Instead, it is that rarest of things: a vanilla for grownups. A fabulous bitter almond note gives HP a seductive edge over its vanillic brethren. The effect is something like seeing a confident, sophisticated woman, perhaps clad in a sharp YSL suit, in a room otherwise populated by sorority sisters. A friend declared HP “overly mature”. 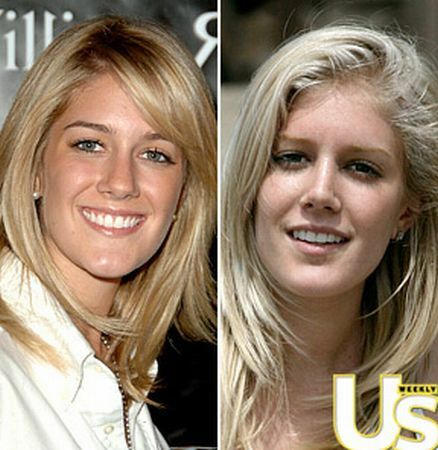 In a world where, at age 23, Heidi Montag felt that she needed ten different surgeries, HP may indeed be a “mature” fragrance. I, for one, am thankful that such fragrances still exist. However, I won’t deny that this is a strong, heady fragrance, and is probably best in smaller doses. I find Hypnotic Poison to be absolutely beautiful, almost poignant in its darkness. It’s the best of the Poison line, for my money. By the way, if you have a different answer to the question posed in the first sentence, please share it in the comments! I’ve never smelled HP; I had sort of written it off with the 80’s sillage monsters. You make it sound so delicious, though, that I’m going to track some down. Thank you!! It’s not anywhere near as strong as original Poison, thank the lawd. Hate to say it, but with all the reformulations that Dior’s been doing, HP might just be one of the nicest fragrances left in their lineup. Please let me know what you think of it when you try it! I think HP smells good, but it reminds me strongly of root beer floats … maybe a root beer float made with almond chip ice cream? I can’t really get past that to actually wear it. The original Poison is a pretty good choice for femme fatales (femmes fatale?) too. The root beer float association seems to be pretty common, judging by the MUA reviews. I have never had one, but I will take your word for it! Original Poison terrifies me a little, but then femme fatales are a rather intimidating bunch. Unlike you, I actually remember when Poison was new! Everyone who wore it seemed to put on too much, as well, which was par for the course in that day but made elevators a very iffy proposition. I recently picked up a new sample, just to see if it was as horrifying as it used to be – and it isn’t. It’s *considerably* toned down, yet the day that I put a drop (ONE DROP) on my wrist, my children insisted on staying a minimum of six feet away from me. And to think that I’ve only tried the toned-down version! Now that you mention it, L’Heure Bleue does kind of remind me of sassafras root, which is what I understand root beer is made from. As im reading ur posts I realize we may have very similar taste to perfume. 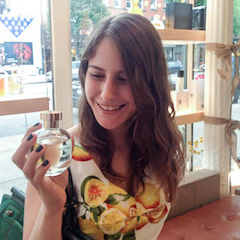 This was actually my first Dior and imported perfume ever! I was 16 and I fell in love immediately, I just had to have it! It’s my winter fragrance, here where I live we barely have any winter so it’s hard for me to use, which makes me sad. I don’t understand why most people hate this! I’m always reading reviews online, and watching yt videos, and everybody seems to HATE it! I don’t care if it bothers anyone, I love this so much!!! I think the picture of Heidi is still pre-surgery believe it or not. Just a little older in the second picture. Her face is totally different now.